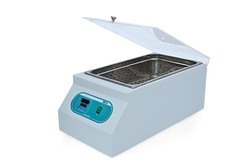 Our product range includes a wide range of universal water bath, refrigerator water bath, cryostat water bath, laboratory water baths and water bath. Finding extensive use in medical, bio-chemical, research labs and other similar places, these advanced technology based Universal Water Bath come in precision fabricated finish as per different industry standards. Working accuracy of + / - 2°C and uniformity of + / - 2 °C among others. Manufacturer Supplier and exporter of blood bank Refrigerator Water Bath deep freezer and Also deals in modular type walk-in-chamber laboratory centrifuge laboratory oven and platelet incubator Refrigerator water bath Cryo Bath. 3” Thick CFC free PUF Insulation. 2. Password protected Keypad lock. 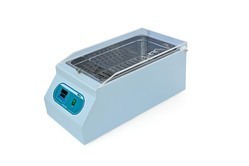 Looking for Universal Water Bath ?